A few days ago, we took a boat from the Polynesian Village Resort to the Magic Kingdom. 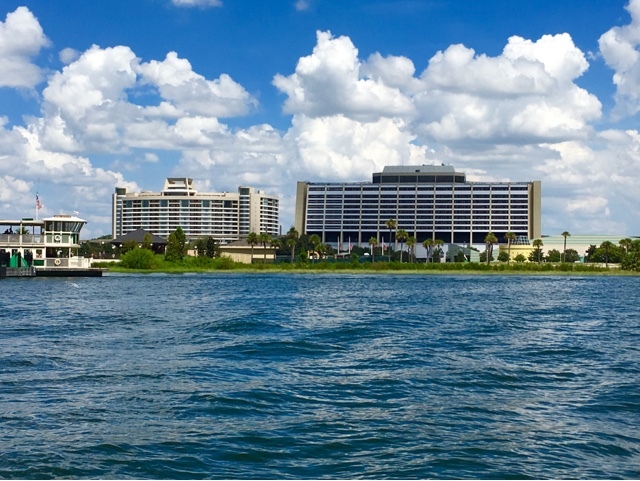 It was a beautiful day, so I took the shot of the Contemporary and Bay Lake Tower. You can also see the Magic Kingdom ferry boat on the left of this picture. The boat trips can sometimes take longer than the monorail, but they provide for great photo opportunities.